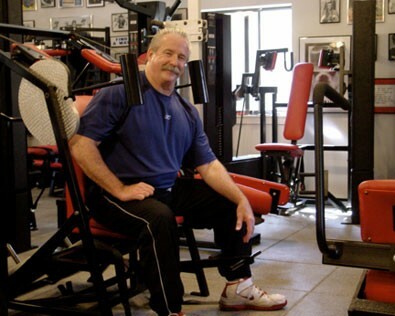 One of Arthur Jones’ closest colleagues and a legendary figure in the fitness world in his own right, Jim Flanagan is a career physical fitness educator and President of Resistance Solutions Inc. Jim was an instrumental figure for both Nautilus and MedX, and as a well-regarded and knowledgeable expert in high-intensity training, he has consulted and shared his expertise with sport coaches and athletes at the collegiate, professional, and Olympic levels, as well as with bodybuilders, movie stars, military agencies, and government officials. Jim was also recently inducted into the National Fitness Museum’s Hall of Fame as part of the Class of 2017, taking his place with other legendary health and fitness figures and luminaries such as Joe Weider, Arnold Schwarzenegger, and of course, Arthur Jones himself. QUESTION(S) OF THE DAY: Have you ever worked with anyone who has had a big, positive impact on your life in some way? What was it like? Please let me know in the comments at the bottom of this post. That’s a whole ‘nother story…..Brilliant. Didn’t realise you’d be into this one too Andrew! 😀 A very niche ep. You know what, I’ve very limited interest in the history or Nautilus, Jone’s etc but obviously appreciate it’s relevance. Still, I listen to all your episodes and this one really grabbed me or more accurately Jim’s character did. Real life stories from before the days of the Internet, when folk did things instead of “talked” about them. A really inspiring guy and yes, a solid gold story teller. Loved how Mr. Flanagan went on about Coach Shula as though the non-American and/or younger audience would have any idea who that was. The good old days! Hey Nathan – hahah yes I was a bit lost myself on that one and hiding my ignorance. Very good talk and i’ll be looking forward to part two !